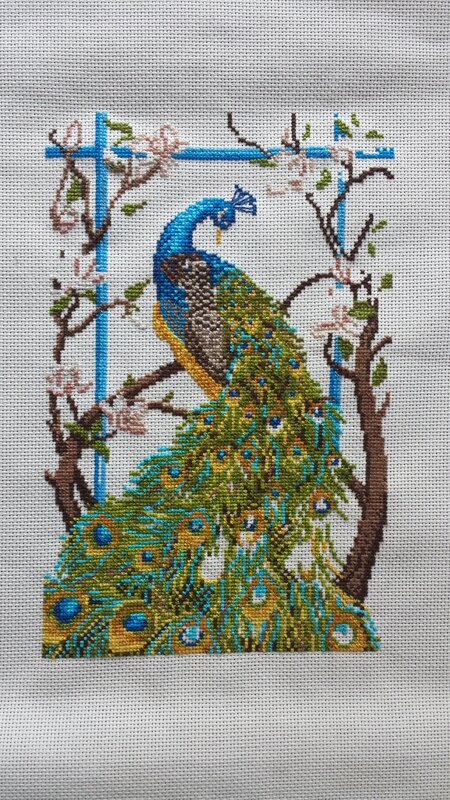 This entry was posted in cross-stitch, Cross-Stitching, Project Peacock, Uncategorized and tagged cross-stitch, Needlepoint, Peacock, Project Peacock, SAL, sewing by marymargaretripley. Bookmark the permalink. Oh I’ve done that….rip something out and make a different mistake while fixing the first one. However, I have no idea which yellow is wrong, so I wouldn’t worry! I agree with Kathy. We can’t see which yellow is wrong, so Mr Peacock is looking very majestic. It’s looking great, I’m with the other ladies – just leave it! You’ve used your artistic license. I’m sure the different shade of yellow is no problem at all because it’s looking beautiful! It’s looking fabulous. You’ve done such a lot since last time. Is it the yellow stitch to the right or to the left 🙂 Just kidding! No one will ever notice something is wrong. The peacock is just beautiful any how!